If you are looking to expand your business, don’t search any further. We have more than 50 types of artificial grass in stock, ready to be shipped to your door today. If you are a synthetic turf installer, or an exterior design specialist, you understand that having stable and dependable supplier is the key to success. Unique technologies, high-class manufacturing standards allow us to match the top quality, durable and always looking great artificial grass with affordable prices. If you have any questions, call us today 877-796-8873. 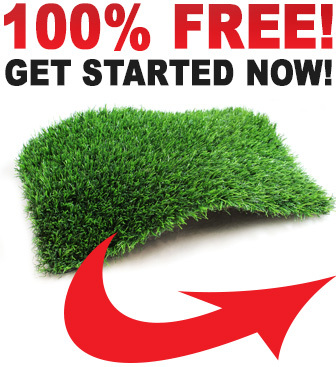 How can I become a stocking distributor of your artificial grass products? We encourage large companies such as lumber yards, landscape suppliers, pool suppliers and home product warehouses to stock our products and then resell them not only to the public, but also to local landscapers, home developers and municipalities at our extremely competitive prices. Stocking distributors are able to make substantial profit with our products. To fill out the application, please click Become a Partner. Absolutely! We have several price structures to help our distributors establish themselves competitively in the synthetic turf market. Is synthetic turf safe for children and pets? Yes! Our products are LEAD FREE and are safe for adults, children and pets. Our artificial grass products far exceed what is required by Government regulations for heavy metals. Test results of all our products can be found on our website. All our artificial lawns have a 10 year warranty against UV and Turf defects. What is the life expectancy of your artificial grass products? 20 years under normal usage. Do you install synthetic turf? We are the leading manufacturer and distributor of synthetic grass products. We do not install synthetic grass, but we can recommend many qualified installers in your area.